Zombies captured a VIP and a quick reaction team rescued a downed pilot, all while drug criminals launched an attack on a resort island off the coast of California. Has the apocalypse finally come to the Golden State? No, but law enforcement sure has. 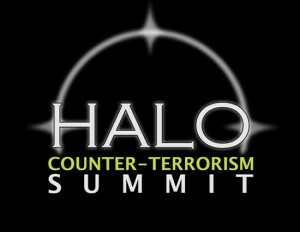 A Halloween-themed five-day counter-terrorism training event, held by the Halo Corp. and funded in part by DHS, bookends Halloween this year. The event gave more than 1,000 military personnel as well as federal, state and local law enforcement hands-on experience with threats rooted in reality — all save for those zombies, of course. The mix of first responders in a controlled environment will foster improved command and control across communities in the event of a terrorist incident, Barker told FoxNews.com. “If they don’t get the right information to the right guy, then people can die,” he said. HALO specializes in training military, federal, and state agencies in emergency response, security, force-protection and disaster management. Strategic Operations Inc., known for hyper-realistic combat trauma training, is collaborating on the exercise to provide hyper realistic battlefield conditions to produce an immersive training environment. For the sixth such training event, the company constructed a village on the 44-acre Paradise Point resort island and exploited “Hollywood magic” to provide participants with state of the art structures, pyrotechnic battlefield effects, medical special effects, vehicles and blank-firing weapons. Training is intended to inoculate against stress and increase situational awareness for military and law enforcement personnel, all to improve performance and save lives. Despite the zombies, Barker said the training will have “nothing from the neighborhood of make believe.” He noted the training incorporates lessons learned from real disasters and terror events from Iraq and Afghanistan to Mumbai attacks. Cyber terrorism has been increasingly recognized as a serious threat, one this exercise will incorporate as well — with an unconventional spin. At the Halo event, participants’ cellphones and e-mail accounts were hacked. Imagine sitting in Starbucks and suddenly finding all of your private text messages on the screen of a stranger’s laptop sitting next to you. Hacking into phones in a classroom setting may underscore just how easy it is for a hostile force to compromise personal information. UTM/ Phoenix will present several close quarters battle training scenarios including a gun battle station, active threats like bombers, and environments where use of force is required. Participants will also be challenged throughout the week with three large scale scenarios. In the first, a downed pilot was trapped in the village. Former Navy SEALs called the “elite frogs” acted as an airborne quick reaction force — parachuting onto HALO island to extract the pilot. The opposition force fired rocket-propelled grenades and small arms fire at them, but the quick reaction force fought its way into the village located the pilot, administered aid and transported him to safety. On Wednesday, HALO summit participants had to contend with a herd of zombies. For the zombie exercise, the team used “The Walking Dead” make-up and actors. In this case, Barker says the zombies were intended to personify a hazardous environment and introduce the challenge of contending with the irrational with whom there is no negotiation. 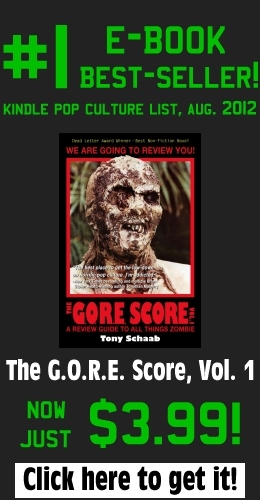 The VIP and his personal security detail were trapped in a village surrounded by zombies. After the he met with local officials, the team began to depart, but a zombie-driven truck with an improvised explosive device arrived, wounding the VIP. The team conveyed the VIP through town while taking small-arms fire and rocket-propelled grenades from the enemy. Two members of the team were bitten by zombies, and during the firefight the team was forced to shoot zombies several times before they were killed for good. Today, a MEDCAP mission in a remote village will come under attack by drug criminals and a quick reaction force must subdue them. Throughout the HALO event, participants trained with the latest military and law enforcement gear, from tactical terrain and armored vehicles to air and water drones. They also tried out surveillance technologies, night vision and thermal imaging gear. Zombies? Drug lords? Downed pilots? Counter-terrorism training doesn’t need to be a snooze-fest to be effective.